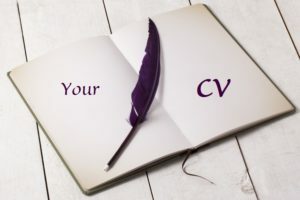 When I was introduced to professional CV writing I thought, ‘is this even a job?’ Well, now that I have written countless CVs, I can assure you that it is indeed a job. And a rather rewarding one at that. Here are my six reasons why I love my job. I’m a huge supporter of learning – anything, really. The CV industry has changed so much during the last few years, and it is still changing. It takes time and dedication to remain informed of the latest trends, and there are, of course, numerous opinions of each. But it’s such fun. And I love creating my format to be just right. I have never really believed in the concept of ‘information overload’, but I realize now that it is most certainly a hazard! I come across an enormous array of industries and they all (well, most of them…) fascinate me. I have ‘met’ a few astonishingly impressive people. It is remarkable how much you can glean from someone simply by working on his or her CV. And everyone’s CV is different. That’s exactly why I don’t run a sausage factory: I don’t care what anybody says, but you cannot churn out CVs helter-skelter. Each one has to be crafted for a specific personality in mind, for a particular skillset. Most of my readers/followers have probably noticed by now that I am an eager language enthusiast. Language can be moulded and played with, and finding the most appropriate word can often be exhausting. Nevertheless, exciting stuff when describing what a candidate is able to offer an employee. We live in a confused, often sad, and frequently terrifying world where jobs are at a premium. I know what it’s like to be confused/concerned/unsure about your next step. If a shiny new CV can give someone a little hope of reaching a satisfying destination, then I offer it with so much pleasure. You will notice that the plural of CV is CVs. I have seen the apostrophe (CV’s) used so many times and it’s wrong. It indicates that the CV is doing something – CV is. It’s a contraction that is clearly not correct. Think; CVs, cars, diamonds. The apostrophe s is not used in English plural forms.